Don't worry. Be happy. Keep learning. 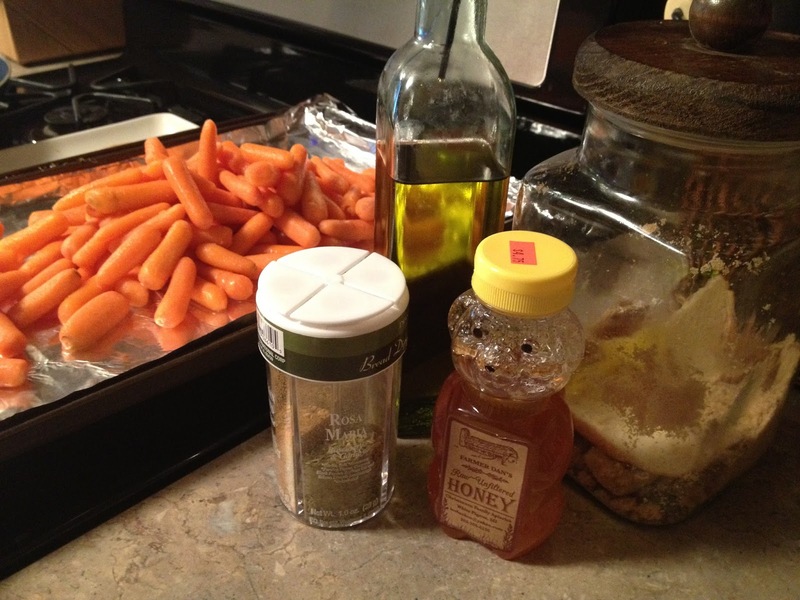 : Rosemary-Garlic Honey Carrots. Hey! Yes, I'm alive & doing well! I've been doing some experimenting with food. 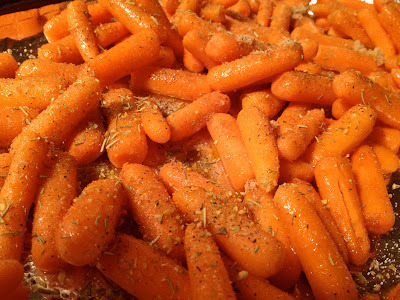 Carrots are so good for you. They are loaded with anti-oxidants and heck, they just taste great! 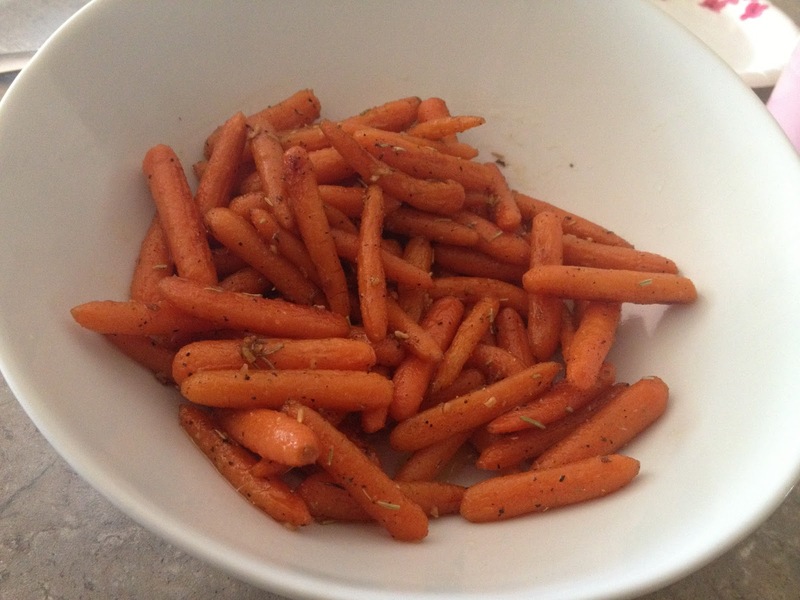 However, I've never been one to love COOKED carrots. So when it came to finding a recipe for cooking them that tasted good, I was excited. I looked online for various recipes, but ultimately just winged it and made up my own by baking them, not boiling or steaming them. 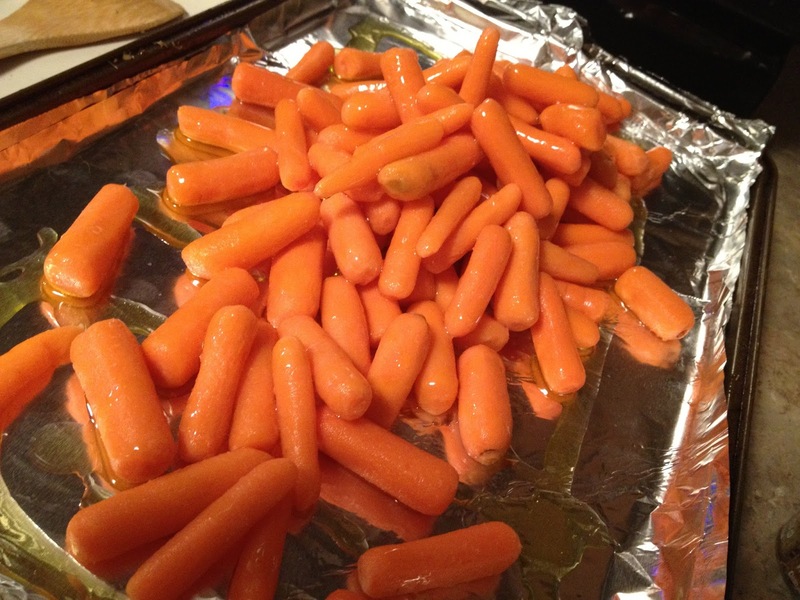 Perhaps, these aren't as healthy as simply steaming them and throwing them on a plate, but I'll tell you what . . . they're delicious. And I've made them a couple times since the first. Still love them. The process is super easy, but I'll warn you! I didn't measure really anything. It's more of a "sprinkle of this and a drizzle of that..." so use your judgement and go by your taste/preference. 1. Spread the carrots on a cookie sheet lined with foil (for easier cleanup, of course). 3. 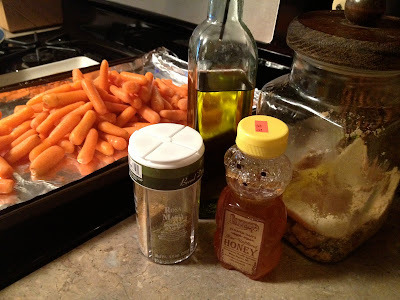 Remove the carrots from the oven, drizzle with a little EVOO and honey, sprinkle with the rosemary/garlic seasoning (to preference), brown sugar, salt & pepper and pop the sheet back in the oven for about 5-8 more minutes. 4. Remove from the oven and let cool for just a few minutes. It might be necessary at this point to strain the carrots if your use of olive oil was a wee too much. 5. Then enjoy sweet, salty, still slightly crunchy bits of perfection. Mike gave these a 6. He doesn't typically LOVE cooked carrots (he prefers them raw as a snack). He said they were a tad bit sweet for his liking and wasn't a fan of the rosemary pieces, but overall he said these tasted good. He did enjoy some leftovers a day or so later, so I'll count that as an ultimate win! Also, I took these to a family gathering and they got eaten fast. That always makes me feel good, when people like my food. That means I don't have crazy weird taste buds and my food is suitable for others to eat, as well. at 12:32 PM Topics: Blog., Mike Meter, Recipes. I love them and they're so simple! You can adjust the seasonings to your taste. I hope you love them, too!